The Komodo National Park is the only place on earth where you can have a close encounter with the legendary Komodo Dragons in their wild habitat. Other than wildlife viewing opportunities, the park also possesses some of the best snorkeling sites and breathtaking lookout points in the world. Our carefully crafted 2d1n boat tour will cover the park’s best highlights and maximize your time there. Fly from direct from Singapore or Bali to Labuan Bajo. Look out for the dozens of uninhabited idyllic islands dotting the Flores Sea. If the skies are clear, you can even see the majestic mount Rinjani of Lombok Island in the distance. Tucked away in the remote corners of Indonesia, the islands of Komodo National Park are the only places on earth where you can see Komodo Dragons in the wild. 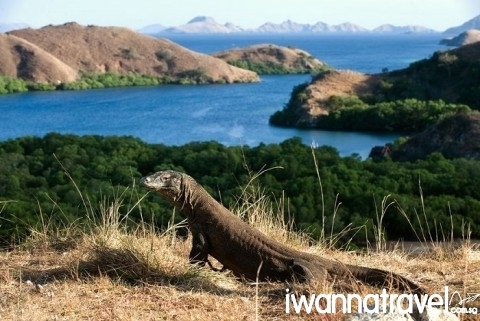 In the morning, you will leave the bustling Labuan Bajo port for Rinca Island to seek out these elusive dragons. Beside the dragons, you can also spot other interesting wildlife like Timor deer, wild boar, buffalos, crab-eating macaque etc. In the late afternoon, we will sail to Padar Island for some Nat Geo worthy shots. The island dubbed to be “Haven for Photographers” offers the most breathtaking look-out point in the whole of Flores. 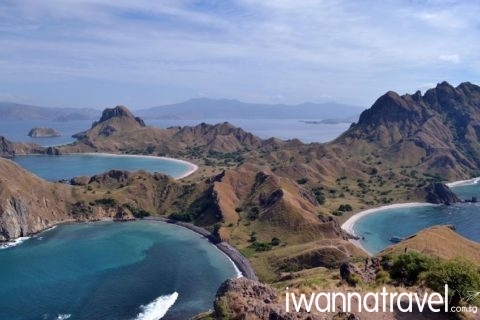 A 40 min hike up its tallest hill offers a 360 degree bird eye view of the jagged coastlines and sharp peaks of Komodo National Park. The island is also for its tri-colored beaches: pink sand beach, black sand beach and white sand beach. Thereafter, you will proceed towards Kalong Island (aka Fruit Bat Island) a low lying circular island to await for an incredible natural phenomenon where at dusk tens of thousands of flying fox will emerge from the island to fly towards Labuan Bajo for their daily food hunt. This endemic species of megabat which has a wind span of up to one meter long looks like a big bird as it flies high above you. The iridescent beauty of the Milky Way awaits you in the night. 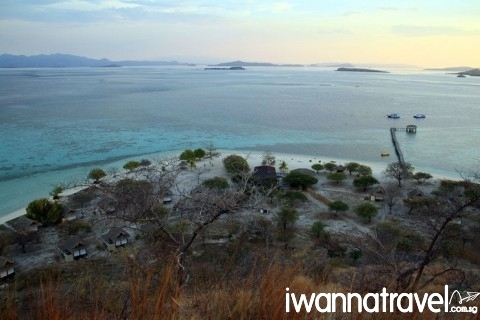 In the morning, you will drop anchor at Komodo Island – the biggest island in the National Park. 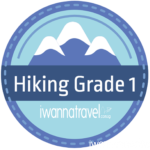 There are numerous hiking trails ranging from a short and easy 45 min stroll to a few hours long and strenuous hike that transverses across hill tops and valleys. After your morning workout, you can cool down and chill at the Pink Beach. This fine sandy beach gets its striking colour from a pink colour microscopic single-celled organism called Foraminifera. Thereafter you will sail to Manta Point a secluded spot where manta rays are often encountered. These majestic creatures which can grow up to 4 meters wide are some of the marine’s most graceful creatures, capable of gliding almost effortlessly even in turbulent water. Other possible marine sightings include turtles, reef sharks, trevallies, clown fish, starfish, etc. The last destination will be the idyllic island of Kanawa – one of the most one of most instagrammed islands of Indonesia. Its surrounding untouched coral reefs have created a lagoon of turquoise tranquil water which makes a perfect spot for snorkelling. After enjoying a beautiful sunset over the sea, we will sail back to civilisation – Labuan Bajo.